How to select a Default User Role when anyone can register? 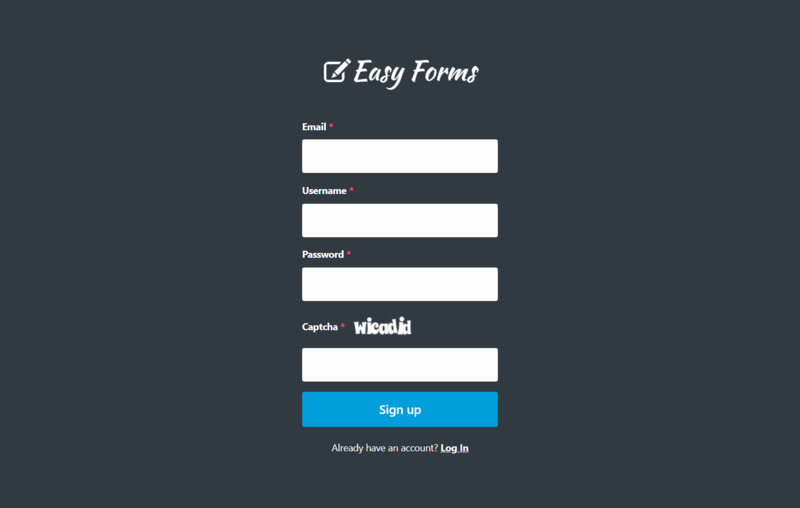 How to use captcha on your User Registration form? How to enable login without password (login by email)? 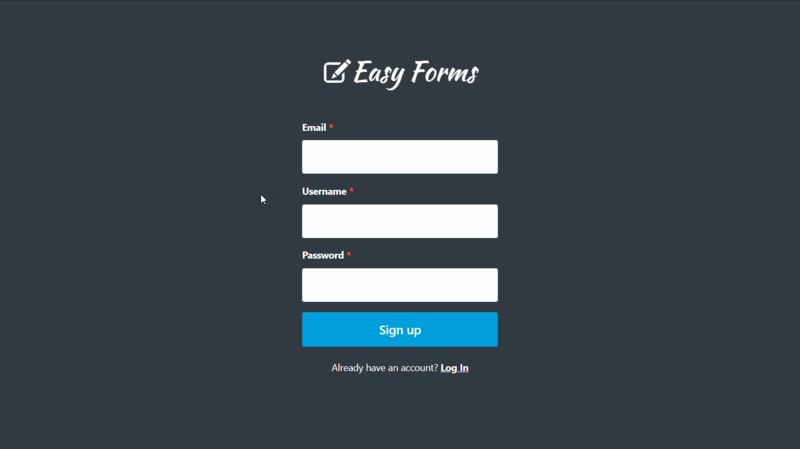 Easy Forms allows an Admin User activate an option to allow any person to log in for free. When this option is enabled, the login page changes and shows a link for anyone to register. Of course, every new user must verify his email before accessing the application. If the user hasn't verified his email, the User Manager will display an orange state indicating that it is not active yet. The role that the new user will have on the application can also be setup and can be: Basic User, Advanced User or Admin. Usually, you will select the Advanced User option, so the user will be able to create their own forms and manage them. You can also allow any user logs on to the application only with his e-mail and without entering a password from this page: example.com/user/login-email. Of course, he will need to confirm his email address before accessing the application and after he register, he can add a password to his account. Plus, if spam is a problem in your site, Easy Forms lets you activate the option 'Use captcha', to add a captcha field in your registration forms. Click on your username in the navigation menu. Important! Keep in mind that the role "Admin" is also in the list. Use this tool with caution. Note: The user must verify his email before accessing the application.